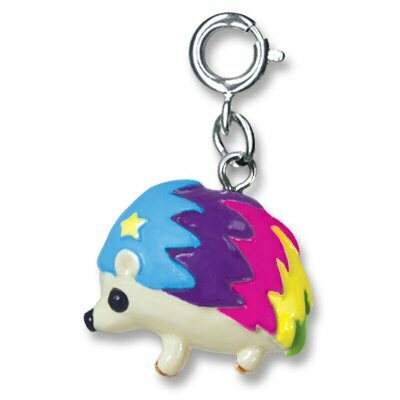 This adorable Rainbow Hedgehog charm is a super-cute addition to charm bracelets of all kinds. Your sweet animal lover will be delighted with this 3-dimensional hedgehog and its beige enamel body, rainbow-colored "fur" and sparkly black stone eyes. This CHARM IT! Rainbow Hedgehog charm lets girls personalized their CHARM IT! jewelry with the simple snap of a clasp.